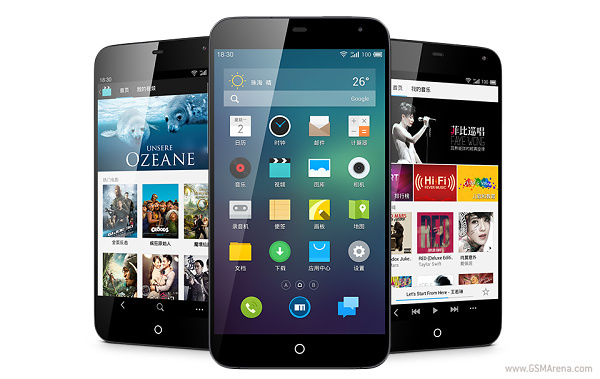 Meizu has officially announced its latest flagship smartphone, dubbed MX3. Meizu's newest addition packs a punch with its powerful hardware and brings a touch of class with its Android 4.2 Jelly Bean-based Flyme 3.0 user interface, which is said to bring 324 updated interactions and 1,579 new visual features. 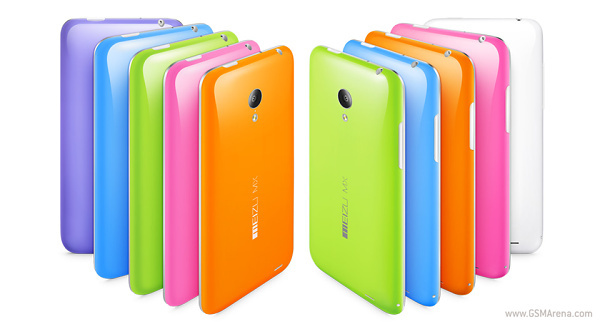 Meizu MX3 comes with a 5.1-inch display with an unusual 1800 x 1080 pixels resolution and just a 2.9mm of screen bezel. The smartphone measures 139 x 71.9 x 9.1 mm and weighs about 143 grams. Under the hood is an Exynos 5 Octa chipset that has four Cortex A15 cores running at 1.6 GHz along with the quad Cortex A7 clocked at 1.2 GHz. MX3 also features 2 GB of RAM, a Sony-made 8 megapixel sensor that comes with f/2.0 lens, zero-delay image stabilization and Fujitsu's ISP to enable capture speeds up to 20fps. The 2-megapixel front facing shooter completes the camera department. Meizu MX3 is equipped with Wolfson audio chip that gives 113dB signal-to-noise ratio with a low distortion rate of 0.002%. The Dirac HD codec and a dedicated audio amplifier are also present along with the triple-mic setup for a better voice clarity. Meizu's latest smartphone comes with a wide range of connectivity options that include NFC, dual-band Wi-Fi, Bluetooth 4.0 and GPS. The juice for the elegant device is provided by a 2,400mAh battery, which according to the company lasts 9 hours on 3G browsing, 10 hours on Wi-Fi or 7 hours on 1080p video playback. Meizu MX3 will be available in 16, 32, 64 and 128 GB of memory options and the device will be up for grabs starting from CNY2,499 (about $410) and reaching CNY3,999 (about $650) for the 128GB version. Unfortunately, there is no word on the global availability of the smartphone.